I worked every day this week to finish a quilt for Alex. I never got a chance to make him one and since he is two now, I made it a bit larger. Something fun for now and I did add double batting so he can use it in the winter. I hand quilted the motifs on the panel and machine quilted the borders. I really think I should have used the machine, it is a lot of work and with a time crunch, it was a killer on my joints. 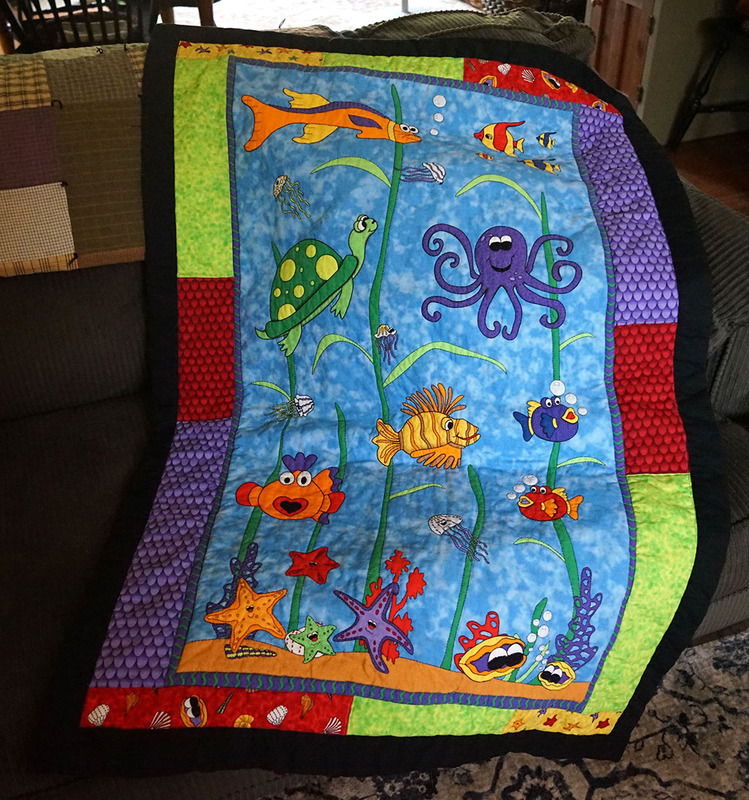 The finished quilt is 48" x 32". This was from a bundle of fabrics that I won, by the Whimsical Workshop, years ago. For the back, I used flannel, to make it snuggly. I also made up a quick tag, I was being lazy. I did get some beach time in, last weekend. My SIL's beach has a new supply of glass, every day. Day one yielded some nice pieces. 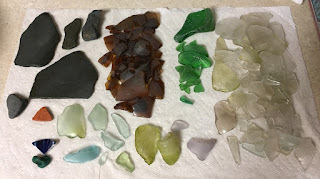 I really don't need the new glass pieces, those I took to get off the beach and I will see if my friend can use them in her glass works. Day two I was excited to find what I thought was yellow depression glass, but it amazing what bleach will do, it was just colored from the seaweed, it was clear when I cleaned it. The house shapes will be fun to paint, will be trying some beach houses. I hope you all have a wonderful weekend. The kid's are finally getting their party, but Bill may be working and if the weather is bad, I do not want to drive into a flood zone by myself, so we shall see. Otherwise, I will be resting and working on some new pieces, if Bill is working. I totally LOVE the quilt you made for your grandson. I think he will be over the moon with it too. what a sweet gift for him. You are the queen of glass but I think I spotted a pottery piece those are my favorites. 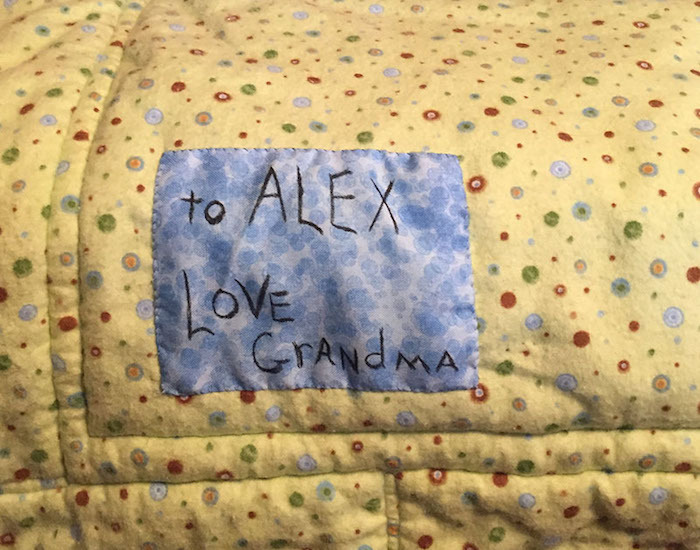 Alex will love his quilt, Debbie!! Love the finish on the quilt. What a shame it's raining and there is a flood zones en route. I'd stay home also! Love the before and after pictures of the glass. Some pretty colours and those house shaped rocks are great! That quilt is absolutely darling, Debbie!!! !